HSBC is an internationally renowned financial banking firm. 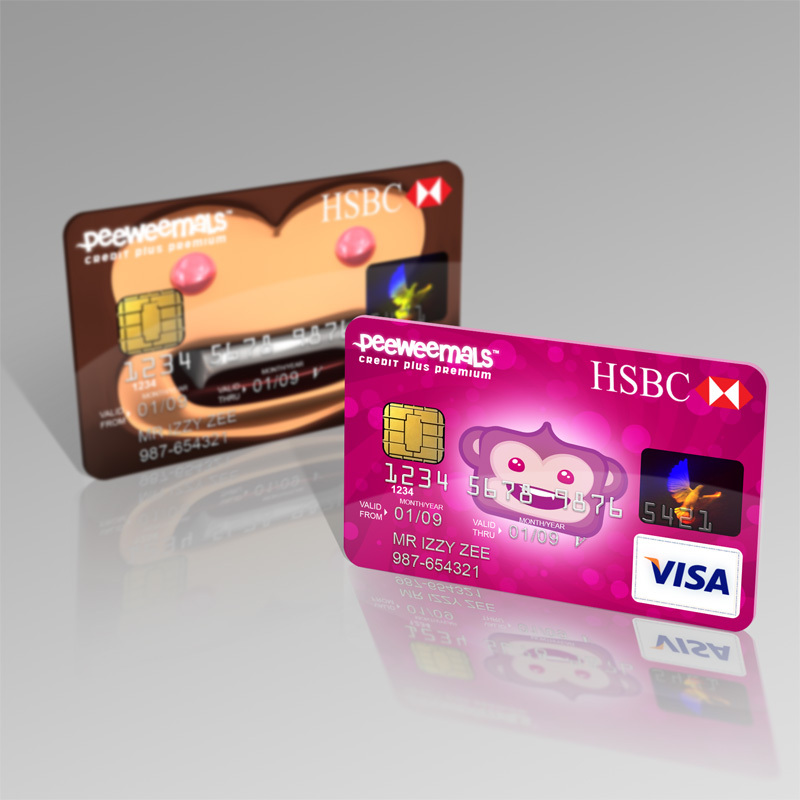 We worked on a design that integrates a brand concept franchise called PeeWeeMals with their credit card products. Concept business cards designed and developed for HSBC/PeeWeeMals.